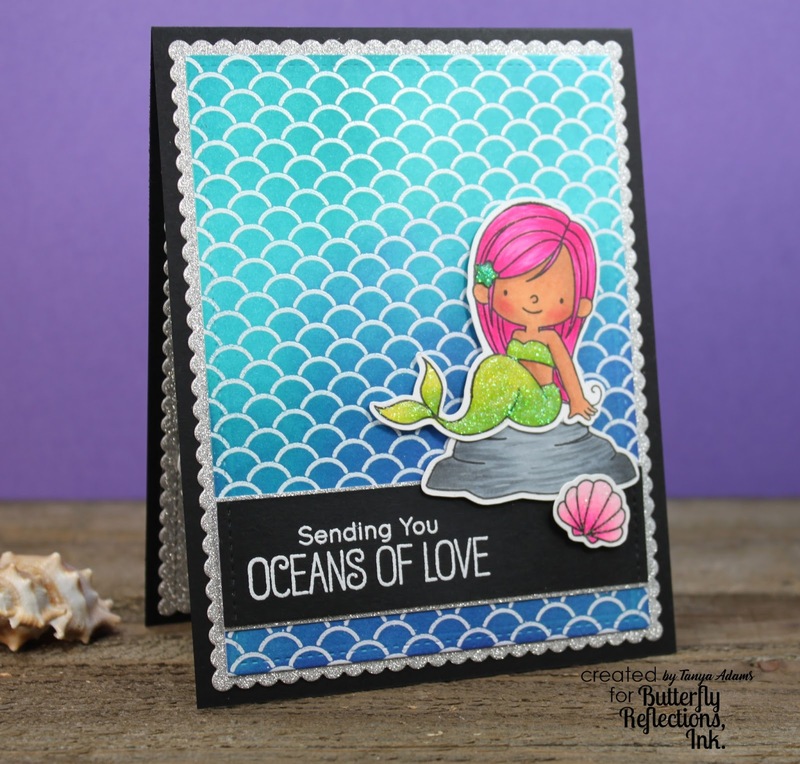 This little cutie is from the Mermazing Stamp Set from My Favorite Things. To create my background I inked up some white cardstock using the following Distress Inks: Mermaid Lagoon, Peacock Feathers and Wilted Violet. After allowing the inks to dry I stamped my background with the Mermaid Tail Background Stamp from My Favorite Things using Versamark Ink. 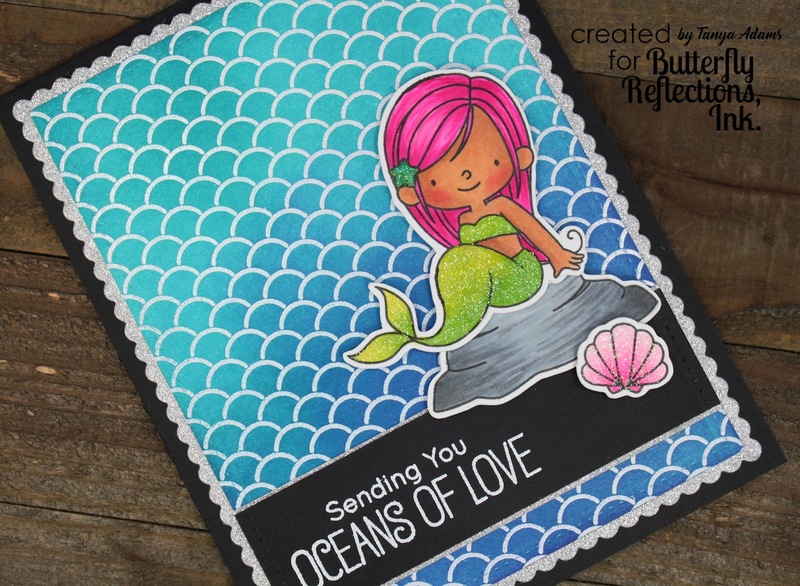 Next I sprinkled on Ranger's Super Fine Embossing Powder in White and heat embossed my background. I also heat embossed my sentiment on a strip of black cardstock. Using the scalloped die from the Die-namics Blueprint #27, I cut out a piece of silver glitter cardstock to go under my heat embossed panel. 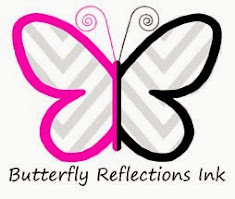 This was adhered to a black cardbase. 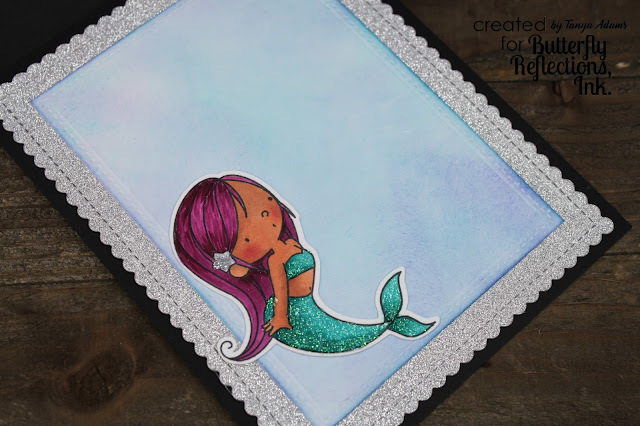 I colored my sweet mermaids with Copic markers and added some wonderful sparkle with Nuvo Crystal Drops in White Blizzard, Silver Moondust and Blue Lagoon. 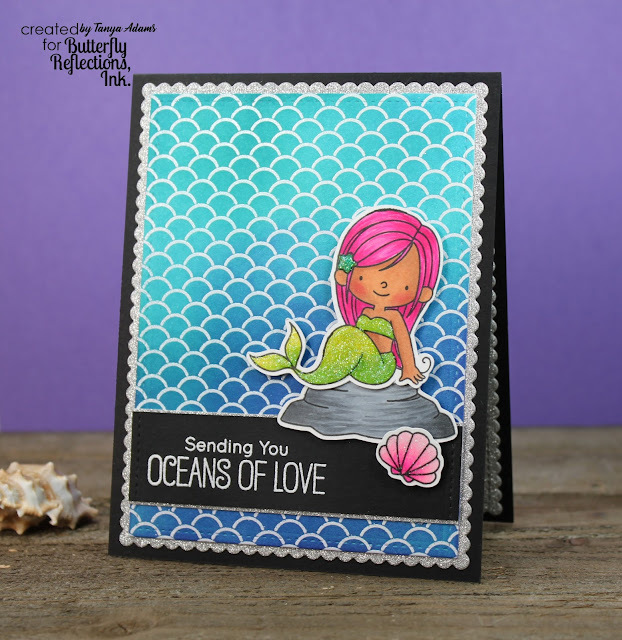 And, of course, I always like to pretty up the inside of my cards so I had to use another sweet mermaid from this fun stamp set. That about wraps things up for me today. Thanks so much for stopping by - sea you soon! Beautiful card!! I love the darling mermaid!